Each Seedling comes with 16 specially curated apps that are designed to enhance your child’s logic and reading skills. This page contains a brief overview of each of the apps that comes with the Seedling. Each game in 123 Numbers features fun graphics and sounds as well as collectible stickers to encourage children to learn every single day. Parents can also customize each game to suit their child’s needs. 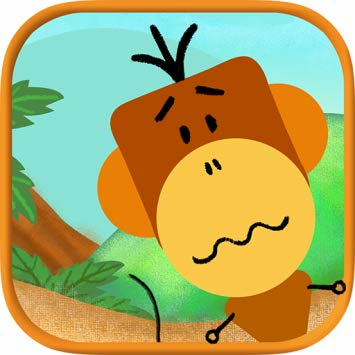 ABC Kids is a phonics and alphabet teaching app that makes learning fun for children, from toddlers all the way to preschoolers and kindergartners. It features a series of tracing games to help kids recognize letter shapes, associate them with phonic sounds, and put their alphabet knowledge to use in fun matching exercises. ABC Kids is more than just a kid-friendly educational app, it was designed with adult participation in mind, too. The interface keeps toddlers focused on alphabet reading and writing, tucking menu commands away from moving fingers. ABC Spelling is a colorful and easy to use educational game that helps young children learn the alphabet, sound out words, and associate letters with pictures. Play anytime and anywhere. Color and Shape focuses on basic tracing, matching, and building skills kindergarten kids need to train. It features a number of unique mini-games designed to increase a child's ability to recognize and match shapes, identify and pair up colors, and even solve puzzles through simple touch screen interactions. It's incredibly easy to use and provides a fun learning environment kids will love. 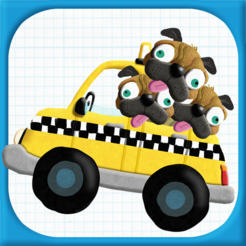 Math Kids is a learning game designed to teach young children numbers and mathematics. It features several mini-games that toddlers and pre-K kids will love to play, and the more they do the better their math skills will become! Math Kids will help preschoolers, kindergartners, and 1st graders to learn to identify numbers and start training with addition and subtraction puzzles. They'll have a great time completing games and earning stickers, and you‘ll have a great time watching them grow and learn. Count, drag, match, and enjoy as the seemingly simple buttons you create come alive becoming part of a wildly imaginative cornucopia of storytelling. Ordinary pieces of cardboard shuffle into a variety of positions, each time becoming something new and unexpected. One bluefish with a fancy bowtie, two peanuts for a hungry elephant, three candles for a cow’s birthday cake, four gumballs for a bubble blowing frog, and five silly bananas on a camel’s back! These are just some of the stories you will help bring to life as the buttons you create set the stage for a journey through counting and the depths of your imagination! 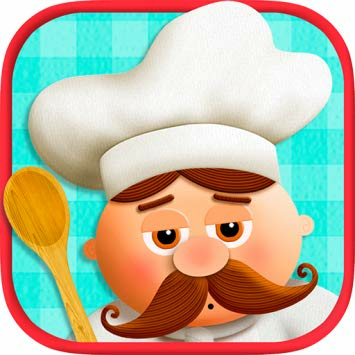 Tiggly Town’s greatest, most mustachioed Chef tells you what he needs to prepare his preposterously silly recipes, and you help by adding the exact number of ingredients Chef asks for to get the recipe right. You can even suggest your own recipes to Chef. While ingredients are added, mathematics symbols appear on screen explaining your actions, helping you naturally learn numbers and early addition concepts; surely Chef will encourage you to follow instructions and think flexibly! 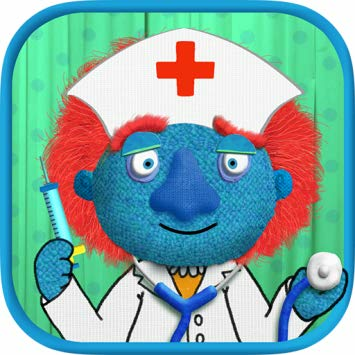 Let your child be a doctor for one day! Examine a patient, make up action verbs, and perform the operations! Each level of the game is designed based on what we know about children’s spatial cognition development. In the first level, children match shapes with what they see on the screen and create simple animals out of single shapes. As the levels proceed, children are challenged to create more complex animals with combinations of shapes, recognize and match basic shapes in various orientations, and practice their hand-eye coordination by catching moving objects - all while being amazed by the cute animals they are creating! Tiggly Stamp is all about creativity and open-ended play. From jack-o’-lanterns to igloos, use Tiggly Shapes to build seasonally themed scenes on your Seedling! You are free to use any vowel you'd like in a series of consonant, vowel, consonant (CVC) word combinations, to create some of the silliest characters and actions you can imagine. Make a bug in a bog and catch it with a big bag! If the word has a meaning, it comes to life on the screen. Keep building your story, and then simply record & share it with friends and family. Come join Tiggly in an underwater world of vowel exploration and new word discovery! A hungry octopus, a tinkering turtle, and sea of vowel fish are just some of the hilarious characters you’ll meet and interact with in the app. Tiggly Submarine helps develop children’s understanding of simple words and short vowel sounds.